Fearless Creators Dan Gremminger and Bradley Harding create a new set of Holiday Cards for CCA! 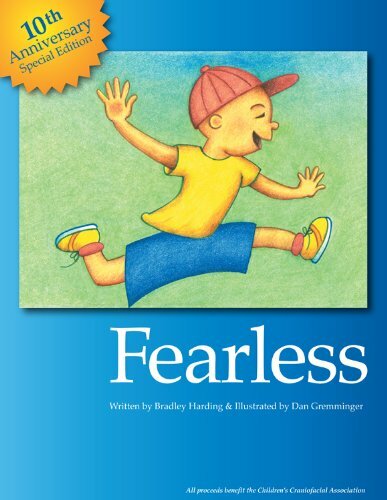 Fearless is an inspiring collection of poems and illustrations created for children with craniofacial challenges. Originally published in 2001 by Children’s Craniofacial Association, the small regional release was immediately embraced by children and families affected by facial difference. This 10th anniversary edition has been redesigned for the eBook platform! 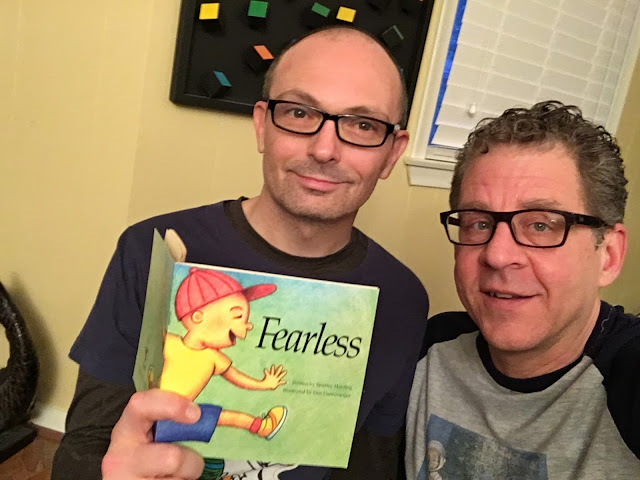 Now the dynamic duo that created this original book for CCA Kids have done it again and created a set of beautiful holiday cards with stories in poetry form that will inspire you and warm your heart, all while spreading the message of acceptance to your friends, families, and colleagues. 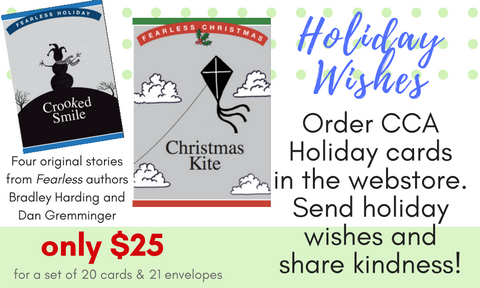 Please preorder a set (or several) today and they will arrive to you in time for holiday card mailing. Keep reading for an exclusive interview with the creators, Dan Gremminger and Bradley Harding. Bradley: I grew up in Oklahoma City, but I claim New York City (where I lived once about six months). Dan: A charming small village on the Texas Plains called Weatherford. CCA: When did you first start drawing and illustrating / writing / creating? Bradley: I first started creating when I was very little. Some of my earliest memories are making up elaborate stories and acting them out (by myself) in my backyard. I began writing little plays and short stories when I was about 7-years-old. Dan: I have always drawn, doodled, colored and painted. It was always my special “calling” in school and helped to set me apart from the other kids. CCA: How did you first learn about CCA? Bradley: Our wonderful neighbor Judy worked for CCA and knew that my partner and I were creatives. She asked us one day if we knew anyone who had written a children’s book. I told her that we had created one (called What Do You See?) that was almost published, but shelved at the last minute. 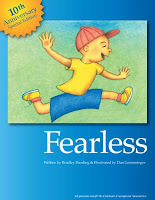 CCA: What motivated you to create Fearless? Bradley: Once we were introduced to the CCA staff and learned about its mission, we felt an instant connection. We were asked if we had any ideas about a children’s book celebrating diversity and facial difference. Right away we had an idea that we thought would be engaging to both kids and their families. Bradley: I think most artists are simply driven to create. Writing was something that I always did. It has always been a part of me. I never thought of it as a hobby, though it was so close to me I also didn’t think of it as a skill for the longest time. Dan: I’ve enjoyed a life-long connection to creativity. I feel so lucky to have art in my corner, because I always knew what I would pursue career-wise. CCA: What’s your process like? How long does it take to go from idea to finished product? Bradley: When I am writing a piece of fiction, sometimes it takes a very long time. I have to have the story (whether it’s a book or film project) already written in my head before I put anything down on paper. And I do still write all my first drafts in long hand in a notebook. Dan: Sometimes the process can be lightning fast. An idea can pop into my head fully formed and it’s just up to me to bring it to fruition. Other times, the process can be more drawn out. I will sketch and play with various tangents around the subject and bring out solutions in a more organic way. Bradley: I love so many children’s authors. Shel Silverstein (whose books of children’s poetry inspired Fearless), Judith Viorst, Ellen Raskin, Roald Dahl, Kate DiCamillo and Maurice Sendak. 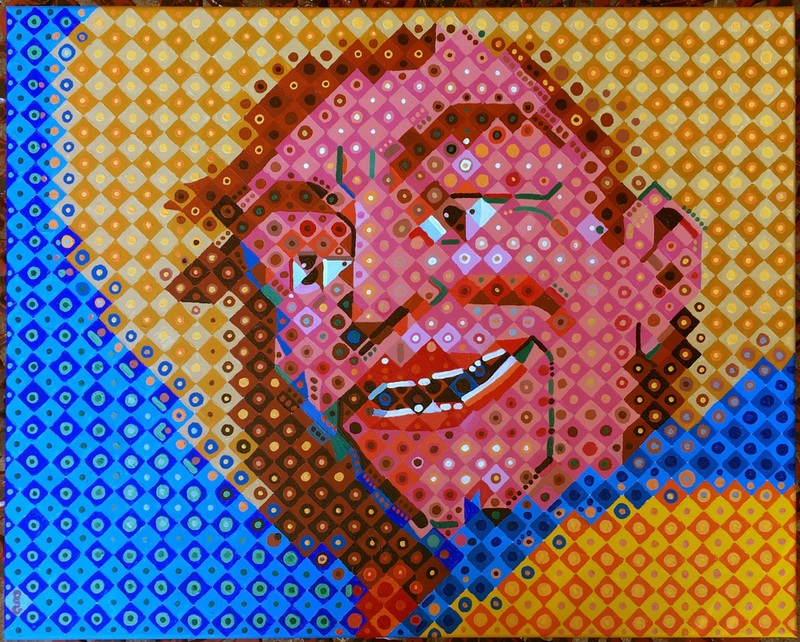 Dan: Classic artists like Picasso and Van Gogh inspire me on a continual basis. Contemporary artists like Chuck Close, Gary Bateman and Chris Ware speak to me and lift me up. David Wiesner is my favorite children’s book illustrator. CCA: What’s your favorite work you’re done? Bradley: I think my favorite work in this genre has to be Fearless. The entire process was very touching, very inspiring. Hearing many of the stories about the CCA kids and their journeys were very inspirational. Bradley: Words and pictures that move me. Dan: Beauty strikes me in many places: a lovely cloud, the colors of a sunset, the light and shadow on a person’s face or the depth in one’s eyes. Bradley: I am also an entertainment writer and filmmaker. Dan: In addition to making short films with Bradley, I love to cook. Bradley: I am usually at the computer, writing. I work as a copywriter, so I write every day. Dan: Working with fellow advertising folks to create compelling online and print advertising. Most of my time is spent working on the computer or designing on art pads. Bradley: It’s making a genuine connection with another person. It’s a selfless, empathetic acknowledgement of acceptance – and solidarity. Dan: It’s treating others with the love that you would hope they show you in return. It is patience and empathy. Bradley: Because we are all different and we should celebrate that every day. CCA: Name five things on your list of things to do before you die. Dan: Make a feature length film with Bradley, create another children’s book with Bradley, visit the active volcano in Hawaii, spend a day in the Louvre, and (fantasy alert!) win an Academy Award. CCA: Thank you both so much for donating your time, talent, and passion to CCA over the years!